Too often, shelves become a collecting zone in a home where books and knickknacks cover the surface without rhyme or reason. The result is a cluttered space that never feels settled. 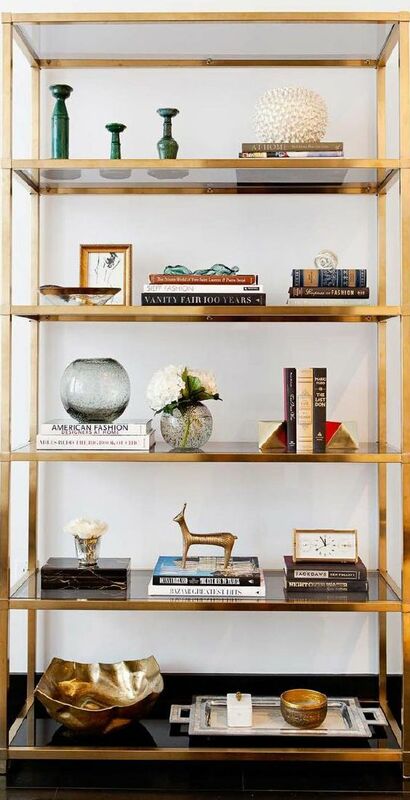 So, why not opt for a Pinterest-worthy “shelfie” instead? 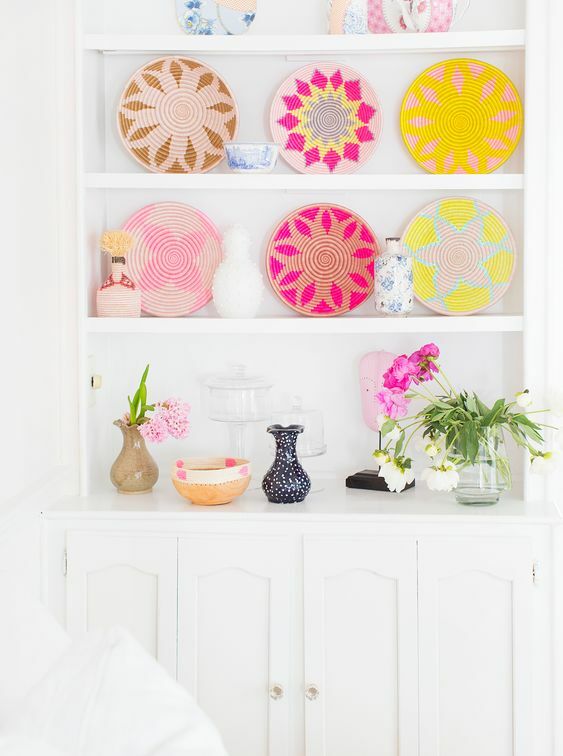 Your shelves should be a true reflection of your personality – not just a storage area. Stick to these tips and tricks and you’ll be well on your way to perfecting your shelves (and getting some “ooohs” and “aaahs” from your guests along the way). To keep your eye moving across a shelf, you want to vary the heights of the objects you use, and play with both vertical and horizontal orientations. If you have the same sized books filling every shelf, or the same sized frames over and over again, your shelf will lack complexity. 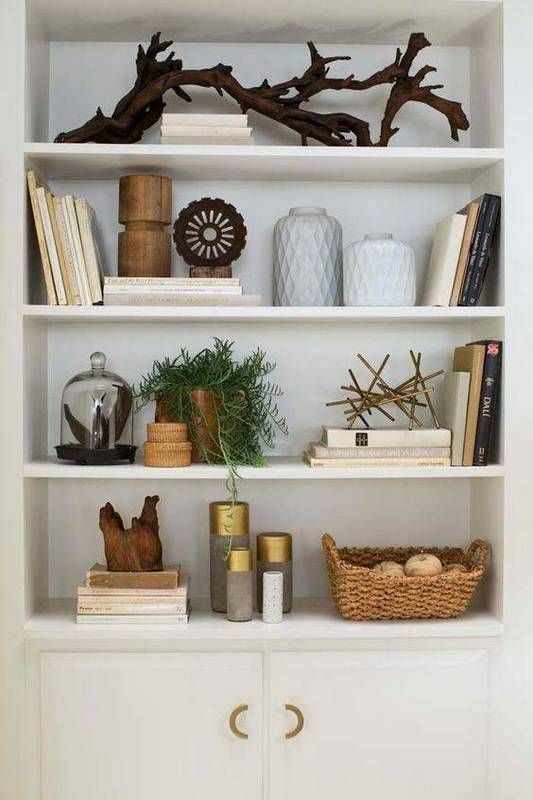 Instead, try arranging your books by mixing a variety of height and thickness, or stack a few on their sides to prop up a unique tchotchke. 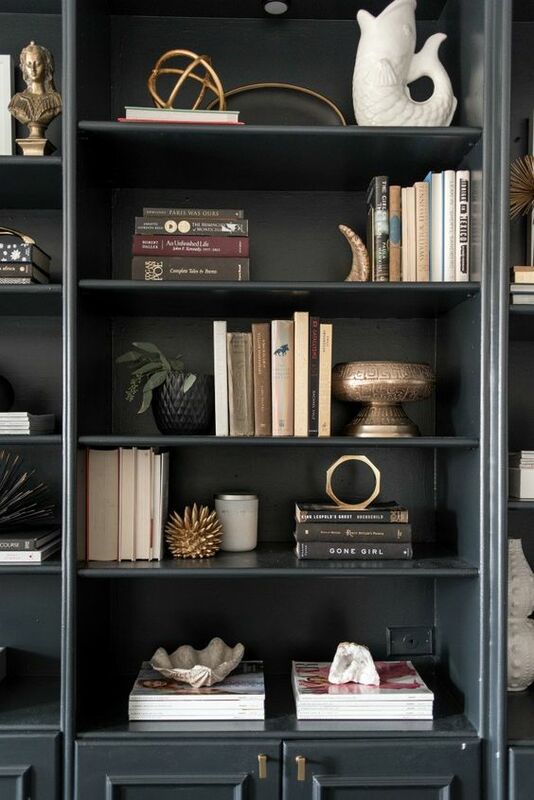 To avoid having your shelf fade into the background of the room, mix and match different objects together for intrigue – say, an oblong vase next to a collection of leather-bound classic novels. 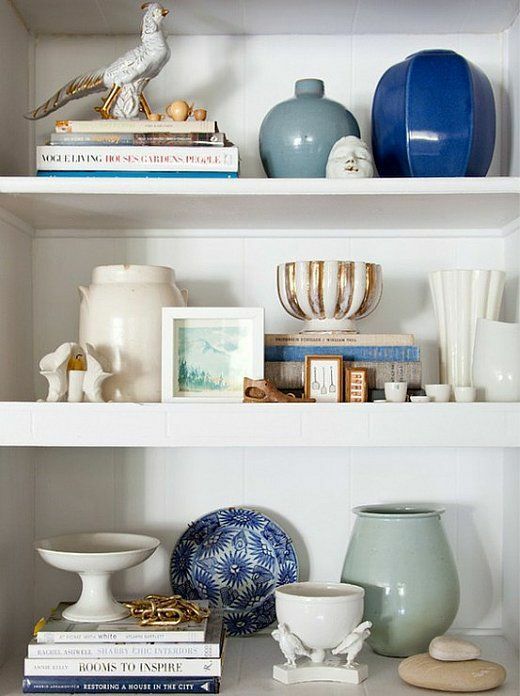 Use your shelf as an opportunity to showcase your most loved items, and feel free to layer them for visual depth. Maybe you want to add in a framed wedding photo, or a sculpture you purchased on your last vacation – whatever it is, get creative with adding and rearranging unexpected items together. Styling is all about making a visual picture out of things that are different, but complementary. You don’t want everything on your shelf to be the exact same shade or color, but you do want to make sure you’re sticking to a color scheme that fits with the rest of the room. Decide on about 3-5 colors you want to use, then make those the focal points of your shelf. 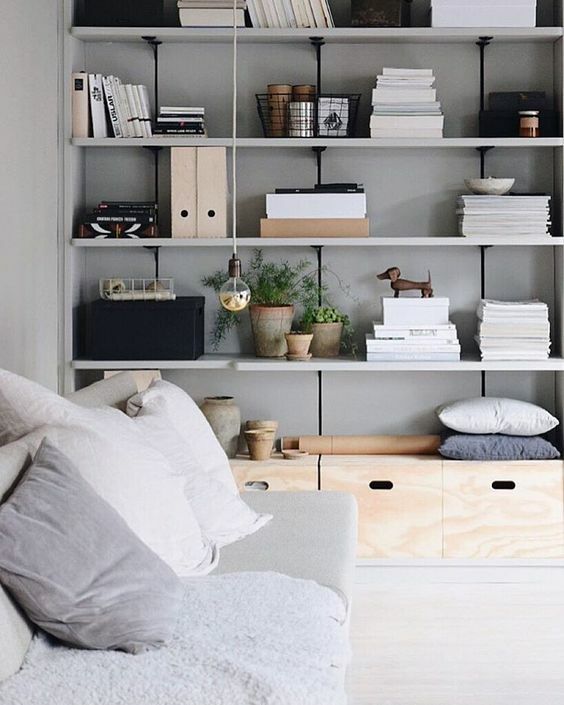 It’s fine to have a bit of another color in there to add in some contrast, but you don’t want to stray too far outside your chosen scheme or your shelf will feel cluttered rather than curated. Unless you have a plant purposefully draping down a shelf or artwork propped against the back wall, the general rule of thumb is to keep things about halfway between the edge of the shelf and the back. This provides visual depth because the objects feel like they fill the entire space, but aren’t overcrowded and falling off the ledge. If your items are all too far to the back, the shelf will feel empty or crunched, and if your items are all pushed too far forward, they feel too precarious and posed. Stick to the middle and your shelf will feel balanced. Whenever you’re including books on your shelves, make sure to pay attention to their sizes. The spines shouldn’t be hanging off of the ledge – if yours are, then the book is simply too big for the shelf and would work better on a coffee or side table. Also, if a book is too tall, don’t try to squeeze it in at an angle – either style it on its side (horizontally), or save it for another spot. Remember that every square inch of your shelf doesn’t need to be filled – and frankly, it shouldn’t be. You want to incorporate white space to allow your objects to pop. This will help you avoid the trap of adding too many things to “fill” the shelf up. A little goes a long way! Ready to give shelf styling a shot? 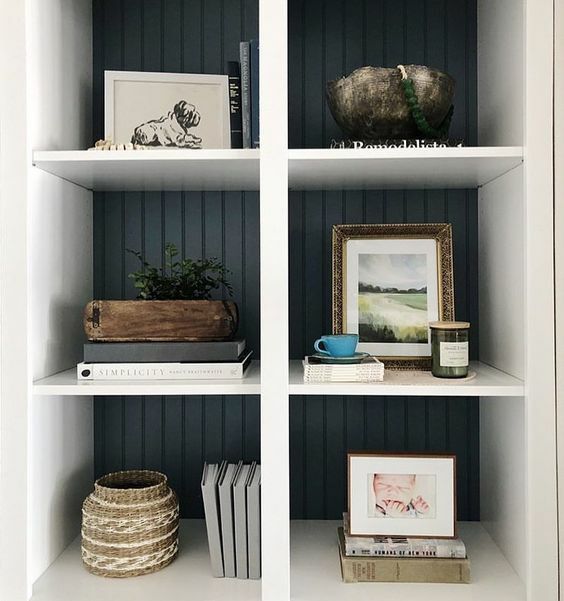 These tips should give you a start, and don’t forget that the best part about shelfies is that they aren’t permanent – you can rearrange and add to them whenever you want. So, get creative and showcase your favorite things. Your shelf just might steal the show.